There are a few simple ways to keep the dog entertained while you’re at work. Here are a handful of my favorites. What’s your dog up to while you’re at work all day? We know that when you go to work, you think about your dog all alone at home — and you wonder what they’re doing or if they’re bored. Or, the scariest thought, what your dog is chewing up! 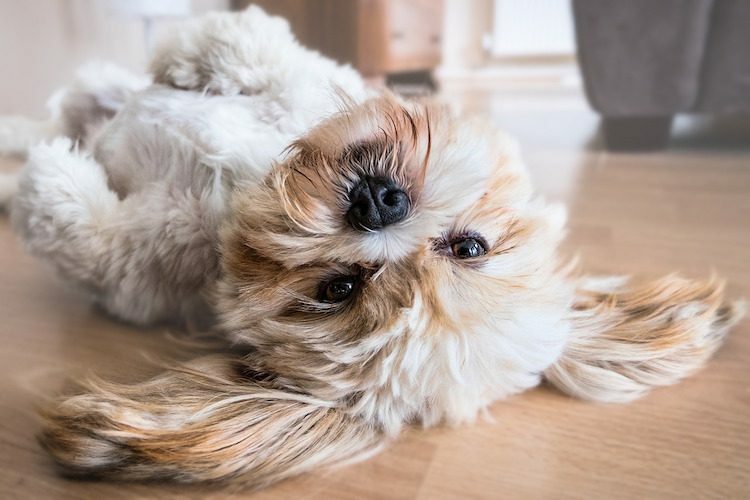 There are a few simple ways to keep the dog entertained while you’re at work, all of which can ease your mind and allow your pet to have a more enriching and enjoyable time when they are alone. Below are 5 of my favorites. 1. Run Off That Energy! Possibly one of the easiest solutions to this problem is to increase the amount of exercise your dog gets, especially before you leave. The common underlying cause of why dogs have destructive behavior problems is that they have not expended the amount of energy they have each day. The more your dog is using his energy in acceptable ways, such as through exercise and training, the less chance they are going to become destructive when you are gone. Animal Behavior College’s curriculum states that “every dog’s exercise needs will be different,” adding that one 20-minute walk daily is probably enough for most breeds except working dogs, who may require two 20-minute walks. If getting up at the crack of dawn and taking your pup out for a healthy jog isn’t realistic, there are toys that can keep your dog occupied. 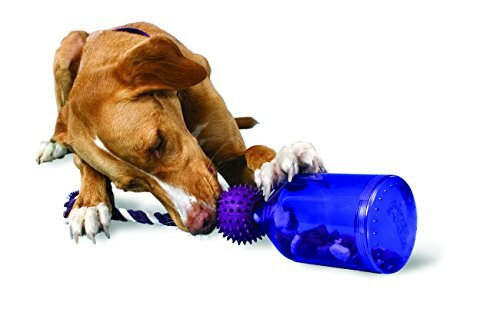 Some popular toys are manufactured to help improve cognition and allow your dog to improve his problem-solving skills. Among these playthings are KONGs. The simplest use is to stuff one of these hard rubber toys with peanut butter and leave it out for your dog. 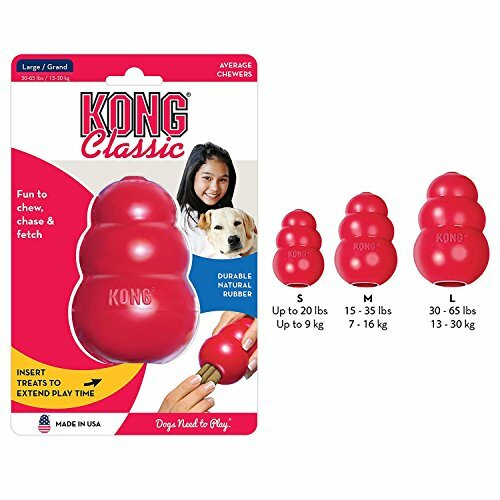 For a more time-consuming use of your KONG, mix up a concoction of kibble and wet dog food and put that inside, and place the KONG in the freezer overnight. Before you leave for work, put it out for the dog and allow them to eat their meal slowly while they work on getting the food out as it thaws. You can also fill a Tug-A-Jug (affiliate link) with kibble and small dog treats. This toy may need a small amount of training to use. But once your pup discovers that pulling on the rope or swinging it around results in treats dropping to the floor, they’ll be playing for hours. Other than commercially made dog toys, you can make a “Busy Bucket” for your dog. To create these homemade time-consumers, take a sturdy plastic or aluminum pail and throw some treats at the bottom. After the treats, put one of your dog’s favorite toys in the pail, and then fill the surrounding space with a hand towel. Continue to layer and tightly pack the bucket with toys, treats and towels that promote problem solving, as well as big chew treat to top it off. As the dog searches through the pail, they’ll discover layers upon layers of entertainment. Pour some chicken broth into a Tupperware container and toss in some pet treats. I like to drop a couple dollops of peanut butter into the broth too. You can also put in a few baby carrots or your dog’s favorite treat. Once you have created what looks like a porridge of canine happiness, put it in the freezer overnight. 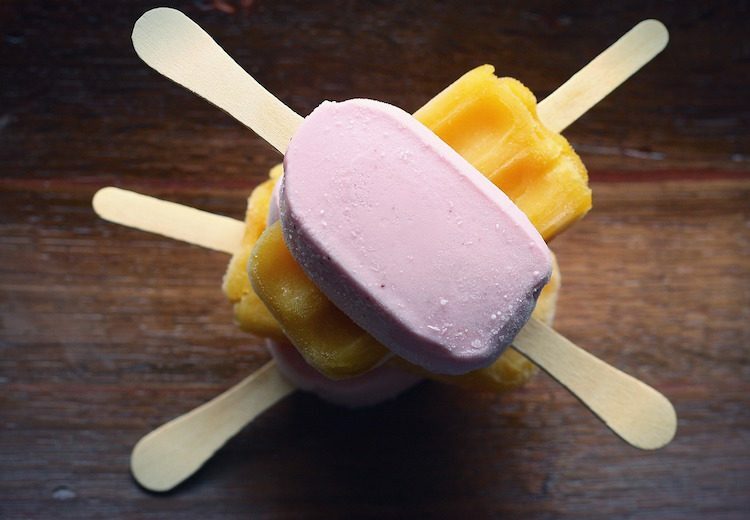 Before you leave the next morning, run some warm water over the Tupperware to loosen up the popsicle and pop it out. Giving this to your dog is a fun way to keep him hydrated and is best given outside on a warm day. It is particularly good to give your dog this treat if they have any degree of separation anxiety. Frequently offering your dog something like this when you leave will help them create a positive association with your departure. As with all toys and treats, you should monitor your dog before leaving for an extended period of time with any of the above mentioned delights. 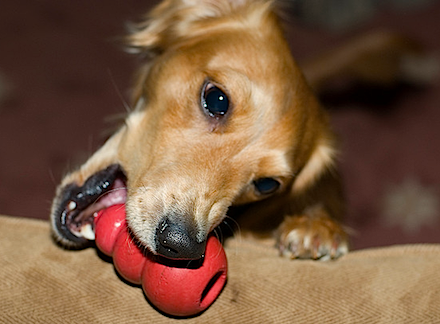 It is important to watch your dog at first when they are interacting with any toys and treats to ensure safety. Also, make sure that you use the appropriate size and strength KONG and Tug-A-Jug to prevent other complications. Most people are concerned about their pets when they leave home, but with a little care and effort you can easily keep your dog entertained and happy while you’re at work.